In this new mini-episode, we reveal the film we’ll cover in the next full episode and predict its storyline based solely on the title (secret movie-based-on-a-1970s-toy, maybe?). 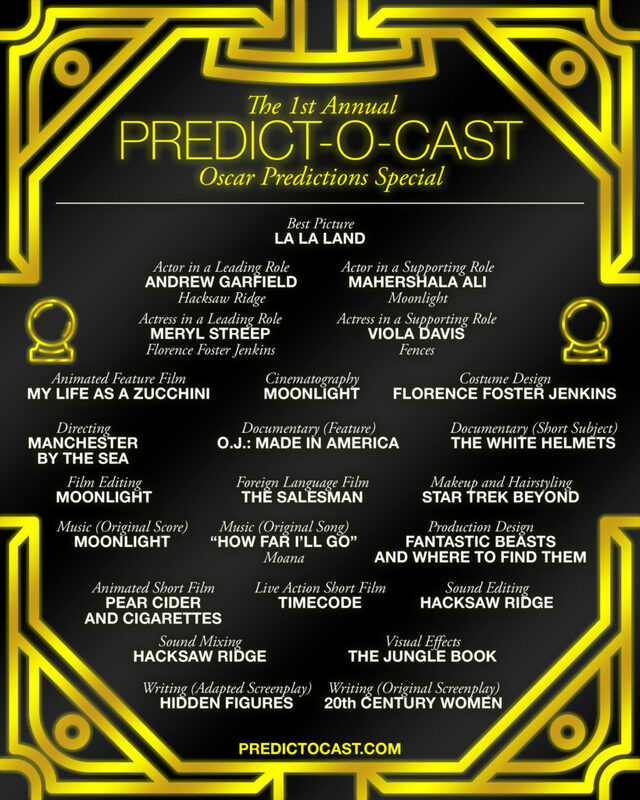 The 1st Annual Predict-O-Cast Oscar Predictions Special! It’s Oscar Season, and we’ve come down with a bad case of Oscar Fever! Join us in this super-sized special edition of Predict-O-Cast where we discuss every Oscar category and predict every Oscar winner — with 100 percent accuracy! * We’ve included our picks in a handy chart below, so you can refer to them during Sunday’s ceremony and tweet congratulatory messages at us as it’s proven over and over that we are correct. If you’d like to play along, head over to the Oscar Challenge website and make your own picks — see if you can match us with 100 percent accuracy! In this episode, we predict reality as we tackle the endlessly fascinating documentary Finders Keepers. On our first mini-episode, we reveal the film we’ll discuss on our next full-length episode and make some predictions based solely on the film’s title. In the first episode of Predict-O-Cast, we apply our predictions powers to the 1989 romantic comedy Cousins starring Ted Danson and Isabella Rossellini.